TO THE GATES OF THE BOHEMIAN GROVE TO PROTEST THEIR MENS ONLY (UNLESS YOU ARE A BOY) PEDO DEATH CULT CREMATION OF CARE OPENING CEREMONY TO THEIR SICK 2 WEEK ENCAMPMENT! 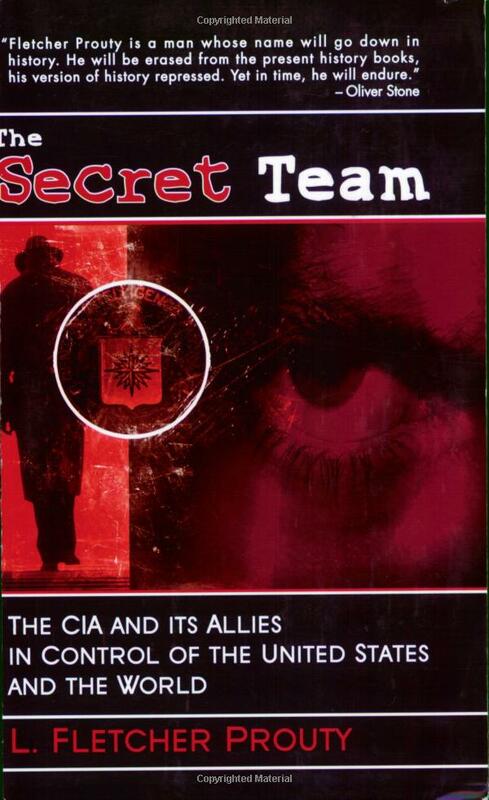 Starring: Henry Kissinger. Alan Greenspan, George W. Bush, his dad Magog, and all the other ghouls that make up the 1%! 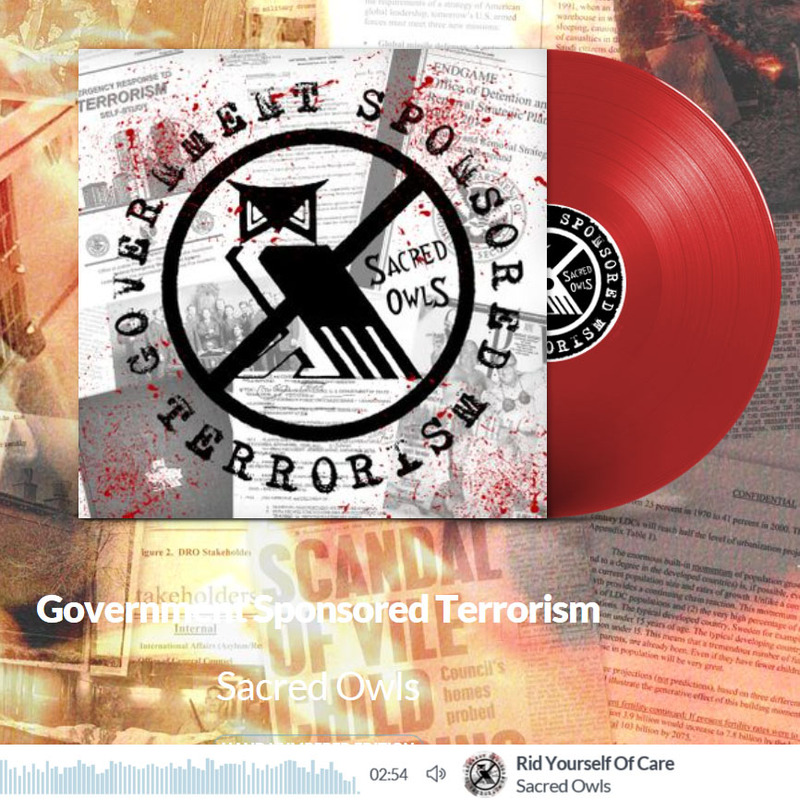 We are excited to announce that we are pressing GOVERNMENT SPONSORED TERRORISM on RED VINYL for the first time! We have 9 days left to fill our preorder goal and need your help! This limited edition, hand numbered pressing is being funded by all of you! We just need to sell 100 pre-orders to get this thing into production! In addition, Diggers Factory will distribute copies to over 200 record stores WORLDWIDE which will really help get the word out there that we don’t want these scumbags running our world, and we plan on taking it back! If the campaign runs out and we don’t hit our numbers, you will get a full refund. If we are close, we will just buy out the last few to make this happen. We need your support! If this goes well, we plan on putting Tales of Terror and all future releases on vinyl as well! Click here to pre-order now! (POPEYE) We are living in an open air science experiment where people think that skies that look like this are normal. They aren’t. Do some research into what Geoenginnering is. We live in an enclosed bio-dome, what is done in the sky will have a direct effect on your health. (CANADA LIVE) A short in depth review of Al Gores fictional movie An Inconvenient Truth. (Susanne Posel) Blueseed is a San Francisco startup corporations that plans to launch a floating city 12 nautical miles off the coast of California.Blueseed will revamp a cruise ship or barge to create the off-shore city. It will sit in international waters and be a metropolis where foreign and American workers can conduct business and theorize new corporations without the pesky need for American work visas. The sustainable design of the ship will allow for an environmentally-friendly workplace. Only passports will be needed for businesses to work from the ship. Being situated in international waters means that no taxes will be collected or have to be paid by the corporations involved. Those living on the ship and working on the mainland will be given temporary or tourist visas through investors, partners and collaborators. Sitting just across from Silicon Valley, this floating city will allow entrepreneurs to do what they cannot do in the US because of business restrictions. The ship will showcase all the luxuries of the Elite, including pools, massage parlors, gyms, rock climbing walls and indoor soccer fields as well as trendy food and other aesthetics. Food and supplies will be provided by local merchants and corporations on the West coast. Employees can use either a ferry or helicopter ride to and from Blueseed to the mainland. With more than 250 corporations wanting to rent space, the cost of a standard cabin is estimated to be $1,600 per month. Start-ups in the US, India, the UK, Australia, Canada and Spain are eager to be part of this endeavor. Founders of Blueseed are Marty Max, the son of Cuban immigrants, and Dario Mutabdzja are gaining momentum in the corporate world for their idea. Peter Thiel, founder of PayPal is leading the financial research in supporting this seastead; a self-ruling city on the ocean. Both Max and Mutabdzja have worked for the Seasteading Institute. Libertarian activist, member of the Bilderberg Group and corporate titan, Peter Thiel has contributed$1.25 million to the floating city project. Political influence in the Libertarian party ends with Thiel who was the biggest campaign contributor to Ron Paul, an influential collaborator who was in secret meetings with Rand Paul just before he publicly endorsed Mitt Romney and in a private conference with Ron Paul 3 days prior to his announcement that he was ending his campaign for US President. Other members of the Libretarian movement are in full support of Theil. The fake revolution established by the ideals cry anti-government sentiment for the ignorant masses while also promoting their self-proclaimed rise to power. Just as any political party controlled by the global Elite, Libretarians have escaped comparison to their socialist peers – the Democrats and Republicans. The Law of the Sea Treaty (LOST) could become the most valid international document with regard to seasteading. LOST binds the US to UN tribunals and international mandates, and these international mandates do not have the best interests of the US in mind. LOST could assist seasteading in becoming legitimate as sovereign nation-states. The International Tribunal of LOST (ITLOS) which has binding authority over all treaty participants under Annex 8. Although there are many tribunals created within the treaty, one of particular interest is the Special Arbitral Tribunal (SAT). This is defined as a 5 person body with majority rule. Each party to a dispute within SAT chooses 2 representative panelists. The fifth panelist, if both parties cannot agree to who it should be, is decided by the UN Secretary General. Should seasteading become the norm, LOST would be relevant and applicable regardless of its ratification in the US Congress. Investing in Facebook when it was a burgeoning startup, Theil understands the power behind Blueseed and is not only financially contributing, but also assisting in gaining more funding for the project. The Seasteading Institute collaborates ideas for potions for governments as the option of floating cities provides new avenues of living and ultimately controlling the population. Offering business opportunities for venture captiol and startups to invest and participate in seasteading extends real estate markets, economies of countries and creates a new level of diplomacy. Research into engineering, science and technology would not be constrained by laws and regulations that are imposed on the mainland. Slated for 2015, the Seasteading Institute expects to have manufactured the first independent city-state guided by inter-nation provisions and not responsible to any established country or sovereignty. Moving the multi-national corporations offshore and into international water alleviates the jurisdiction of these megaliths from all known and established governments. Perhaps replacing sovereign nations would be the corporate-establishment where the floating city could be socially and technologically influenced and directed by the corporate-industrial complex. Nation states created by Google, Microsoft or Facebook that owed no answer to the US could create such an over-reaching monster that the necessity of established governments could fall to the way side. Off-shoots of the Seasteading Institute are forming around the world at technological universities to force the American corporation to remain competitive. Focusing on eco-sustainability and making money, the Seasteading Institute want to take advantage of the ocean as an untapped real estate resource. (TORONTO SUN) Two months ago, James Lovelock, the godfather of global warming, gave a startling interview to msnbc.com in which he acknowledged he had been unduly “alarmist” about climate change. Lovelock is a world-renowned scientist and environmentalist whose Gaia theory — that the Earth operates as a single, living organism — has had a profound impact on the development of global warming theory. Unlike many “environmentalists,” who have degrees in political science, Lovelock, until his recent retirement at age 92, was a much-honoured working scientist and academic. His inventions have been used by NASA, among many other scientific organizations. Lovelock’s invention of the electron capture detector in 1957 first enabled scientists to measure CFCs (chlorofluorocarbons) and other pollutants in the atmosphere, leading, in many ways, to the birth of the modern environmental movement. Having observed that global temperatures since the turn of the millennium have not gone up in the way computer-based climate models predicted, Lovelock acknowledged, “the problem is we don’t know what the climate is doing. We thought we knew 20 years ago.” Now, Lovelock has given a follow-up interview to the UK’s Guardian newspaper in which he delivers more bombshells sure to anger the global green movement, which for years worshipped his Gaia theory and apocalyptic predictions that billions would die from man-made climate change by the end of this century. Lovelock still believes anthropogenic global warming is occurring and that mankind must lower its greenhouse gas emissions, but says it’s now clear the doomsday predictions, including his own (and Al Gore’s) were incorrect. He responds to attacks on his revised views by noting that, unlike many climate scientists who fear a loss of government funding if they admit error, as a freelance scientist, he’s never been afraid to revise his theories in the face of new evidence. Indeed, that’s how science advances. (1) A long-time supporter of nuclear power as a way to lower greenhouse gas emissions, which has made him unpopular with environmentalists, Lovelock has now come out in favour of natural gas fracking (which environmentalists also oppose), as a low-polluting alternative to coal. (2) Lovelock blasted greens for treating global warming like a religion. (3) Lovelock mocks the idea modern economies can be powered by wind turbines. (INFOWARS) The climate change professor at the center of the scandal over her assertion that global warming skeptics were akin to racists and should be “treated” for having a psychiatric disorder wrote a letter in which she praised Barack Obama for hiring eugenicist John P. Holdren as his chief science advisor, while also urging Obama to ignore public opinion and disregard democracy in favor of enforcing draconian climate change mandates. Following University of Oregon Professor Kari Norgaard’s presentation of a discussion document at the recent Planet Under Pressure conference, in which she called for global warming skeptics to be viewed as racists who need to be “treated” for mental disorders, every academic establishment associated with her has attempted to memory hole information concerning Norgaard’s biography and her previous work. As the Watts Up With That blog documents, the University of Oregon has attempted to re-write history Soviet-style by amending the controversial terms used in Norgaard’s paper without so much as an editor’s note. However, a damning letter written by Norgaard which appears on the Whitman College Magazine website has not yet been erased. In the letter, Norgaard praises Barack Obama for making an “excellent choice” in hiring John P. Holdren, whom she inaccurately describes as a “Nobel Peace Prize winner”. As we have exhaustively documented, Holdren is an avowed eugenicist who in his 1977 book Ecoscience called for a “planetary regime” to carry out forced abortions and mandatory sterilization procedures, as well as drugging the water supply, in an effort to cull the human surplus. “Please listen to Holdren and Hansen,” writes Norgaard, referring to prominent NASA global warming alarmist and Al Gore ally Dr. James Hansen, the man who endorsed a book by fellow alarmist Keith Farnish which advocated acts of sabotage and environmental terrorism in blowing up dams and demolishing cities in order to return the planet to the agrarian age. Norgaard then openly urges Obama to virtually suspend democracy, ignore public sentiment, and enforce climate change mandates by executive fiat. (JAMES DELINGPOLE) Last week, 5,000 files of private email correspondence among several of the world’s top climate scientists were anonymously leaked onto the Internet. Like the first “climategate” leak of 2009, the latest release shows top scientists in the field fudging data, conspiring to bully and silence opponents, and displaying far less certainty about the reliability of anthropogenic global warming theory in private than they ever admit in public. The scientists include men like Michael Mann of Penn State University and Phil Jones of the University of East Anglia, both of whose reports inform what President Obama has called “the gold standard” of international climate science, the Intergovernmental Panel on Climate Change (IPCC). One might sympathize with Mr. Markey’s outrage if, say, the emails were maliciously rewritten or invented. But at least one scientist involved—Mr. Mann—has confirmed that the emails are genuine, as were the first batch released two years ago. So any malfeasance revealed therein ought to be blamed on the scientists who wrote them, rather than on the whistleblower who exposed them. Consider an email written by Mr. Mann in August 2007. “I have been talking w/ folks in the states about finding an investigative journalist to investigate and expose McIntyre, and his thus far unexplored connections with fossil fuel interests. Perhaps the same needs to be done w/ this Keenan guy.” Doug Keenan is a skeptic and gadfly of the climate-change establishment. Steve McIntyre is the tenacious Canadian ex-mining engineer whose dogged research helped expose flaws in Mr. Mann’s “hockey stick” graph of global temperatures. One can understand Mr. Mann’s irritation. His hockey stick, which purported to demonstrate the link between man-made carbon emissions and catastrophic global warming, was the central pillar of the IPCC’s 2001 Third Assessment Report, and it brought him near-legendary status in his community. Naturally he wanted to put Mr. McIntyre in his place. The sensible way to do so is to prove Mr. McIntyre wrong using facts and evidence and improved data. Instead the email reveals Mr. Mann casting about for a way to smear him. If the case for man-made global warming is really as strong as the so-called consensus claims it is, why do the climategate emails show scientists attempting to stamp out dissenting points of view? Why must they manipulate data, such as Mr. Jones’s infamous effort (revealed in the first batch of climategate emails) to “hide the decline,” deliberately concealing an inconvenient divergence, post-1960, between real-world, observed temperature data and scientists’ preferred proxies derived from analyzing tree rings? This is the real significance of the climategate emails. They show that major scientists who inform the IPCC can’t be trusted to stick to the science and avoid political activism. This, in turn, has very worrying implications for the major international policy decisions adopted on the basis of their research. That brings us to the motives of the person calling himself “FOIA” who leaked the emails onto the Internet last week. For the service he has performed in pursuit of this larger end, FOIA deserves not opprobrium but gratitude. Mr. Delingpole is a contributing editor of the Spectator and author of “Watermelons: The Green Movement’s True Colors” (Publius Books, 2011).